The Title Register shows key property and ownership details as well as listing any mortgages. The Title Plan shows the location of the registered property and the general boundaries of ownership. Filed Deeds usually list restrictive covenants & rights of way. Filed Deeds are included in the Comprehensive Title Deeds Package. 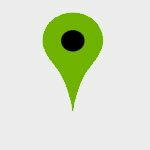 Use our MAP SEACRH if the property has no address, such as a field or private road.